The best deals are the ones that produce free lift tickets. And the best free tickets are the ones for which you do nothing except get one year older. Here are 15 resorts that are giving away free tix on your birthday. Make sure to click through for details. Even if your birthday falls during one of the summer months, the mountain might still hook you up. How about if it was your birthday every time you went skiing or snowboarding? The Mt Baldy Chamber of Commerce is giving away free season passes to the Mt Baldy Ski Area to encourage more visitors to the mountain. The Mt Baldy Chamber of Commerce is giving away free season passes to the Mt Baldy Ski Area on a first come, first served basis. This offer will expire October 31st 2009, when they open for skiing, or they we run out of passes whichever comes first. Where’s the catch? There isn’t one. The season pass has a few restrictions and there is a one-time $49.95 activation fee to cover administrative costs, but that’s it. 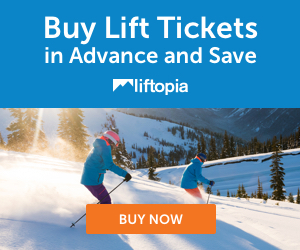 A full season of skiing or snowboarding for less than a daily discount ski lift ticket to Mt High or Big Bear. Mt Baldy is immediately north of Upland and Claremont. Take the Mountain Avenue exit in Upland off the 210 Freeway and go north following signs to Mt Baldy Resorts. Alternatively take the Baseline exit in Claremont and go north on Padua and turn right on Mt Baldy Road. Mt Baldy Road dead ends in the Ski Area parking lot. Wildcat, N.H. no longer offers ski free on Bday. This end this year when Peak Resorts took over ownership. Awesome list!! Posting it on my facebook now, thanks! Anyone other place that offers the B-day deal in New England for this season? Anyone, anyone….??? I didn’t now about this! Got a birthday coming up next month… going to check it out at Snow Summit. FYI Crested Butte (spelling) is giving free tickets on ur Bday, celebrating their 50 year open…. its probably the only Colorado resort giving free Bday tickets… why is Colorado so Stingy? I believe this has also changed at Belleayre Mountain, NY. Last year it was discounted and this year I see no mention at all….